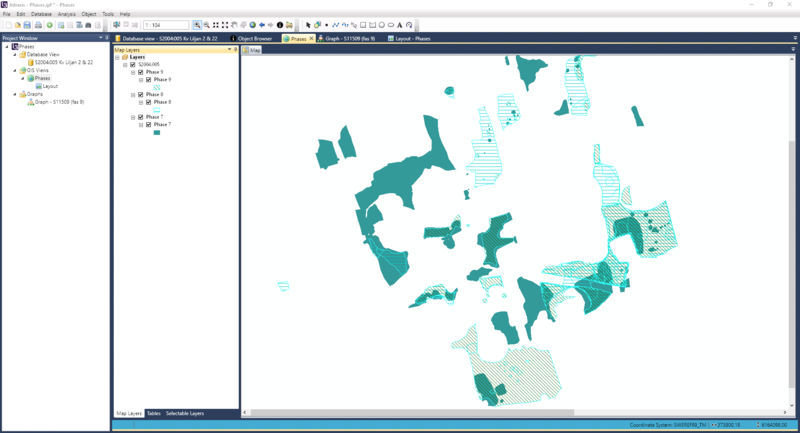 Unfamiliar with GIS and datatabases? Don’t worry, Intrasis comes with several Wizards to help you along with data handling and analysis. The Import Wizard guides you through the import of files. 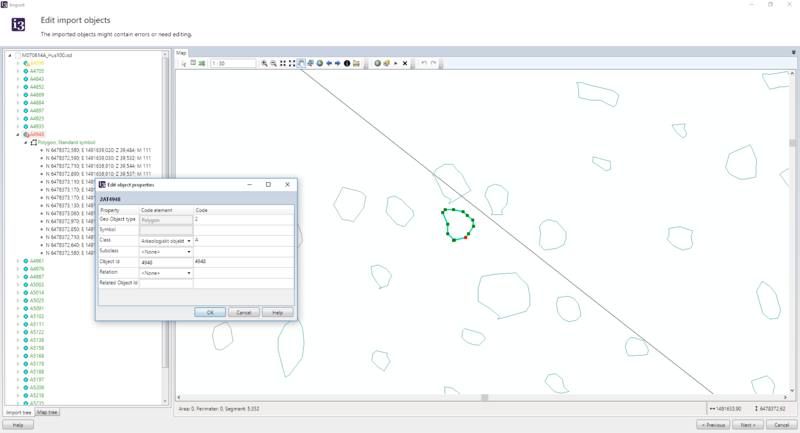 You can import survey files in several formats e.g GSI (Leica), ISD (Trimble, stylesheet found in our download section) and shape data set. Object information can be imported from Excel, dBase or .txt (tab separated) or simply entered in Object Browser. Intrasis also support documents like images, Word documents or PDF files. 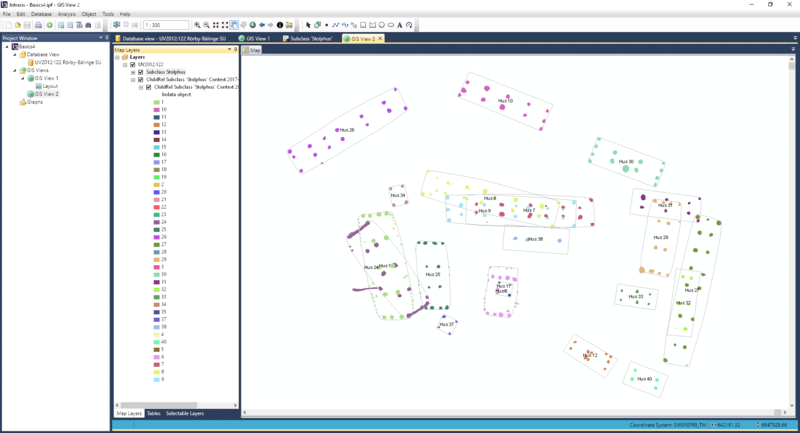 Whenever you import an object to your project, Intrasis will warn you if there are geometry errors, problems with data integrity or if it differs from settings in metadata. The Child Relations Wizard will extract all information which is related to a single object or group of objects. You can filter the results to show all or just one type of objects. Typical questions you get an answer to are: Which types of finds are found in the graves? What are the C14-results from the houses? What features belongs to house 1? 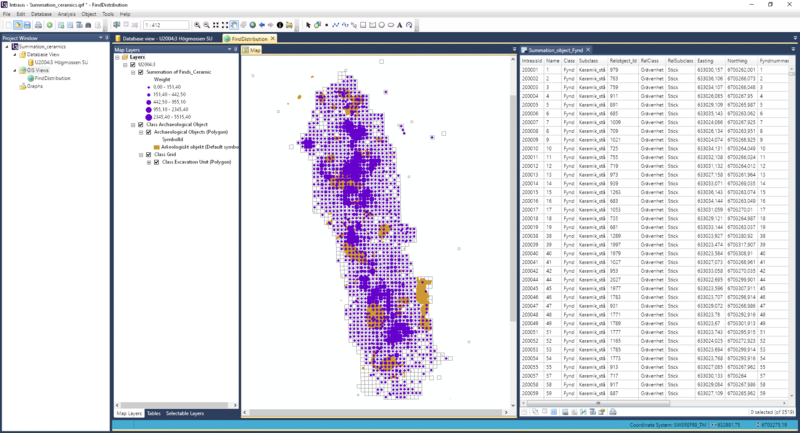 The Summation Wizard will help you when you need to summarise numerical information and get the output as spatial distribution. You filter the information in several levels and get an answer to questions like: How many point-decorated rim sherds are found in the pits? Which features have the highest concentration of corn remains? 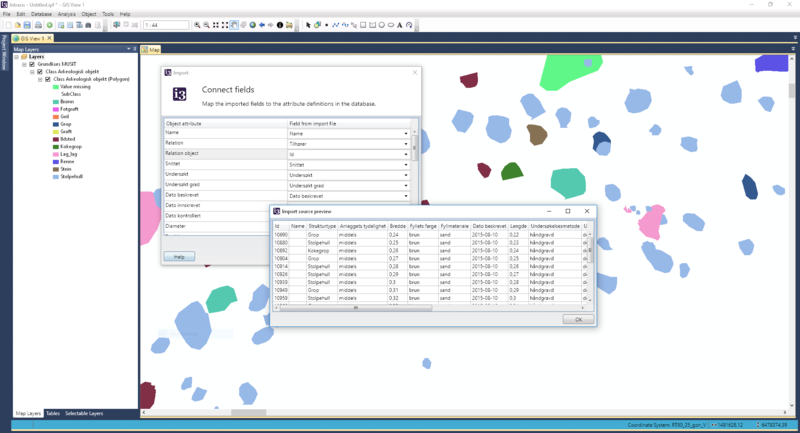 Results from the wizards Child Relation and Summation are displayed in a GIS View of your choice, both as geographical features and as table data.